ABS recently released the ABS Guide for Enhanced Fire Protection Arrangements. 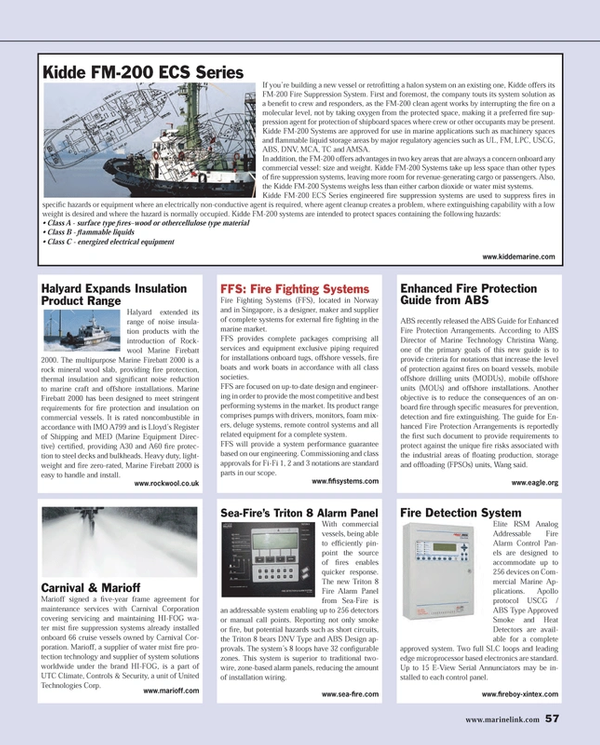 According to ABS Director of Marine Technology Christina Wang, one of the primary goals of this new guide is to provide criteria for notations that increase the level of protection against fires on board vessels, mobile offshore drilling units (MODUs), mobile offshore units (MOUs) and offshore installations. Another objective is to reduce the consequences of an onboard fire through specific measures for prevention, detection and fire extinguishing. The guide for Enhanced Fire Protection Arrangements is reportedly the first such document to provide requirements to protect against the unique fire risks associated with the industrial areas of floating production, storage and offloading (FPSOs) units, Wang said.